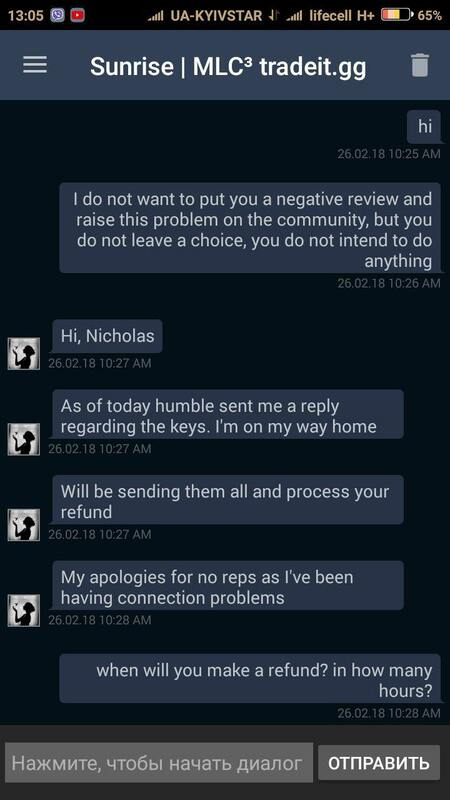 There was a similar situation like here https://www.steamtrades.com/user/76561198100988228#kXF3l , I believed his high reputation and was left without my money, but with non-working keys. 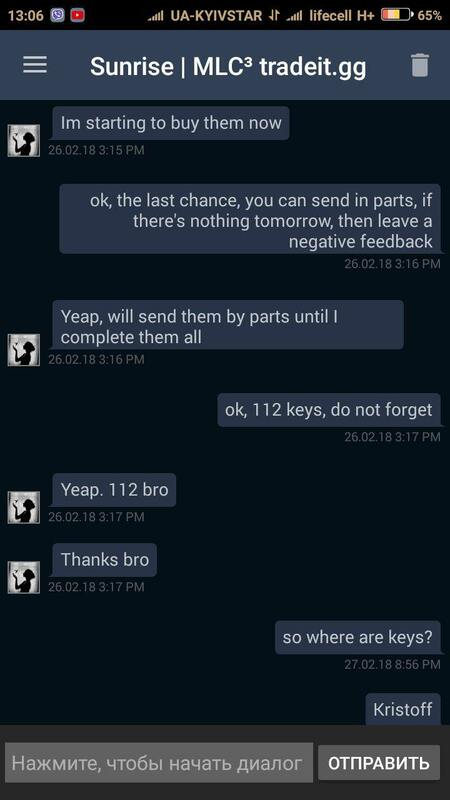 Do not trade with him unless he returns all the keys and money to all traders, who he has scammed. +rep,smooth trader, he went first. 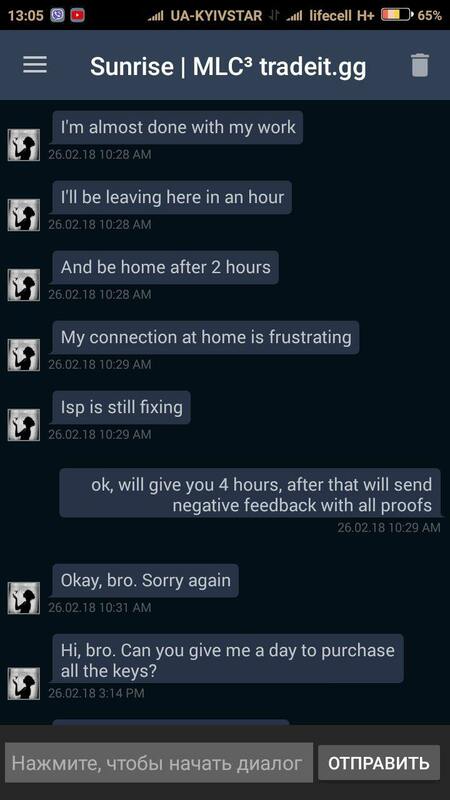 EDIT: he say he will refund us..but il wait! Bought many games, thank you for fast trade! My story: added to me personally in Steam with an offer to buy his games. 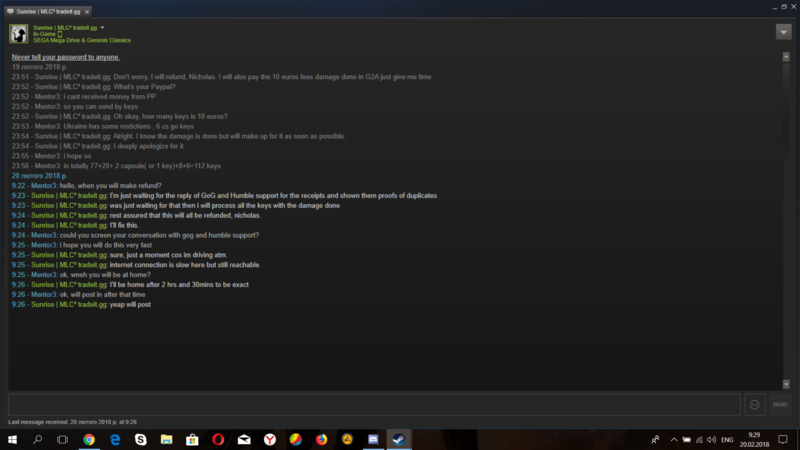 I do a little resale, looked at his reputation, questions about the origin of keys and proofs, he said he buys himself with Humble Bundle for money earned from sports bets. Using this way is more attractive, its cheaper. And that his past buyer cheated, so he turned to me. I believed him, for he behaved very kindly and responded very quickly to messages. I did not immediately start selling games, but he persistently offered me more and even bargained. 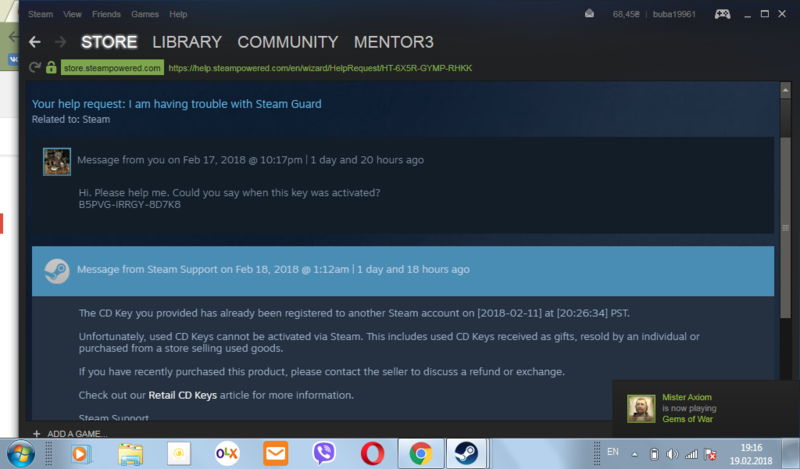 I was glad of such a purchase, and this is in the amount of 125 spent CS GO keys. He send keys by email. But then I was horrified when I started selling on G2A and receive claims for refunds. 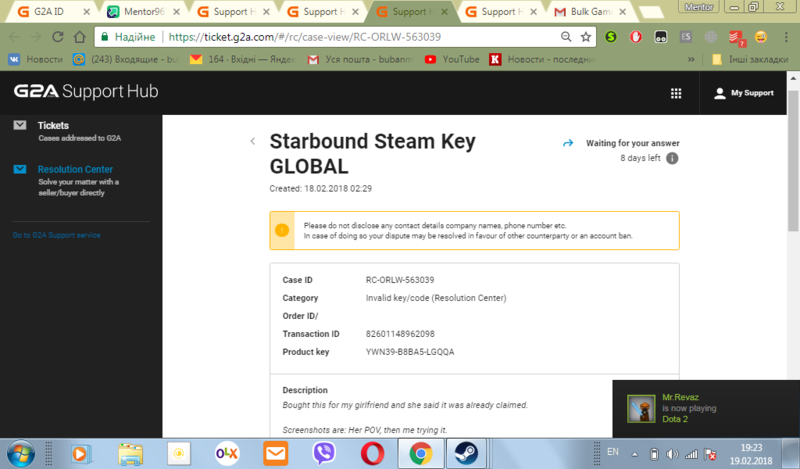 At first I thought that these buyers were unscrupulous, but it turned out to be non-working keys - some of them I sent for checking on Steam Supporter, I checked it out myself, some people bought it and there were free games. As I began to write to him, he strangely became inactive all the time, did not answer for several days. 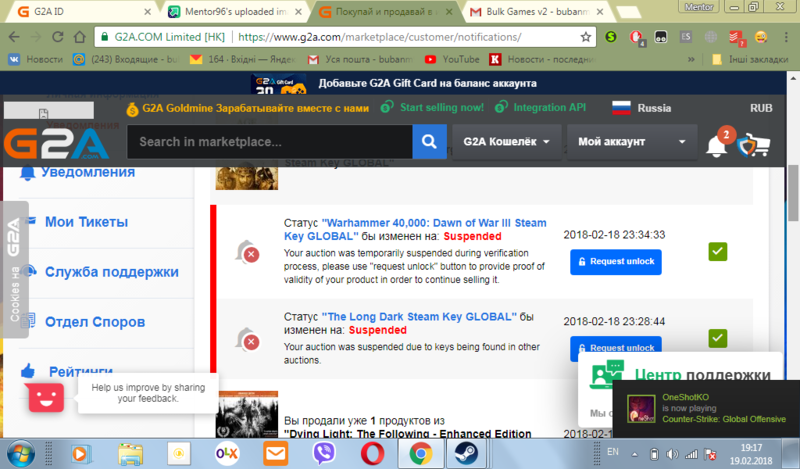 I began to worry and add people who traded with him, its http://steamcommunity.com/id/Daosilv/ and http://steamcommunity.com/id/Aryend/ . 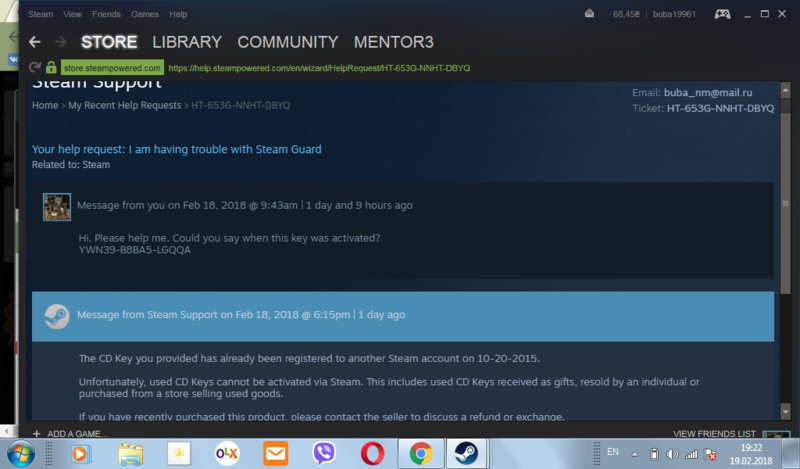 It turned out that this was not the only case, and he raised the reputation for selling the keys to the CS GO. 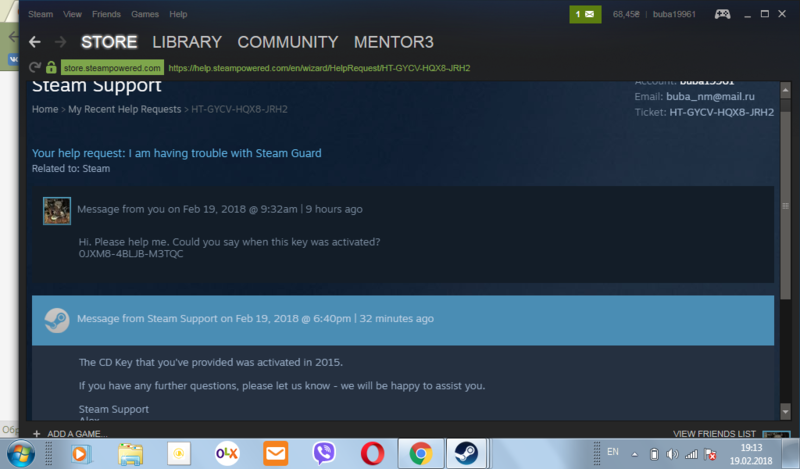 A few people who bought 1-2 games, he returned the keys after long torments, so the reviews were not negative. But not in my case with a big exchange. I threatened him with a negative response that would put an end to his trade in this site. 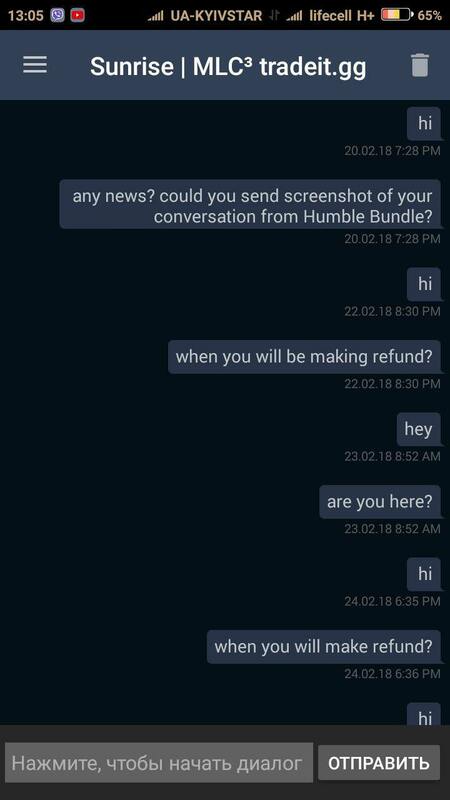 He said that it takes time to deal with Humble Bundle, but this is a complete lie, since some of his games were activated already in 2015, so any purchases on that website are out of the question if the term for conversion has long expired, and games that he sold to me appeared on sale in 2016-2017. It actually was the freebie keys. I offered him a compromise that he would return some of the keys and we will not raise this issue. He agreed, but so far he has not taken any steps. He keeps silent all the time almost 2 weeks. Please support my treatment, especially those who traded with him. I want to save in the future all those who want to trade with him. Still waiting for a return in the hope of his high reputation. +Rep, trustworthy and friendly trader! He had some personal issues so the delivery took some time but he kept his side of the bargain. Very fast and trustworthy trader. I recommend him! +REP. Fast, Flexible, Patient and Reliable Trader. +rep (paypal for csgo keys) fast and easy trade. Thanks! -rep, gotta change my +rep to a -rep because I had received a game code which later turned out to be a duplicate code. I went first, everything well, fast and fair, +rep. +Rep He went first and all was good! Very understanding and polite as well! +rep. polite trader, everything went smooth.